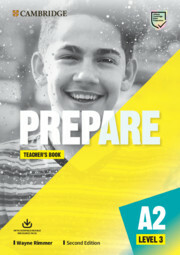 PREPARE 2nd edition Level 3 combines 'teen-appeal' topics with extensive preparation for the revised 2020 A2 Key for Schools exam. 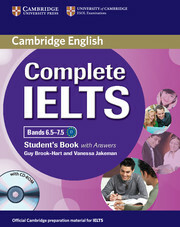 The Level 3 full-colour interleaved Teacher's Book makes it simple to teach with minimum preparation. The Digital Resource Pack includes access to Presentation Plus - all the course content in digital format for classroom presentation, Test Generator for progress testing, Class Audio, Videos, and comprehensive Teacher Resources including: extra vocabulary and grammar worksheets (two levels of difficulty), literature, speaking, writing, video and games worksheets. There are videos to accompany the Culture sections, as well as lively interviews with real teenagers.